“Jica-what?! 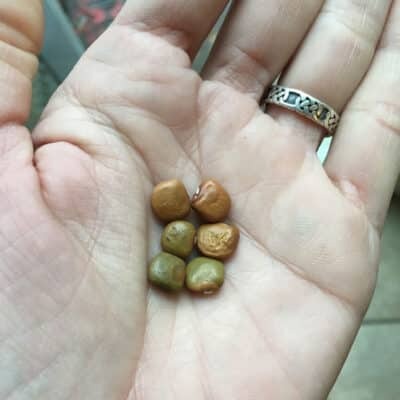 ?” the kids shouted, when I got my jicama seeds in the mail. Jicama (pronounced hick-uh-mah) is a tasty root vegetable that’s easy to grow and great for snacking. It’s mild and crunchy, and tastes like a cross between an apple and a water chestnut. We eat jicama raw as a snack, add it into green salads, and make zesty carrot-jicama slaw with it, too. 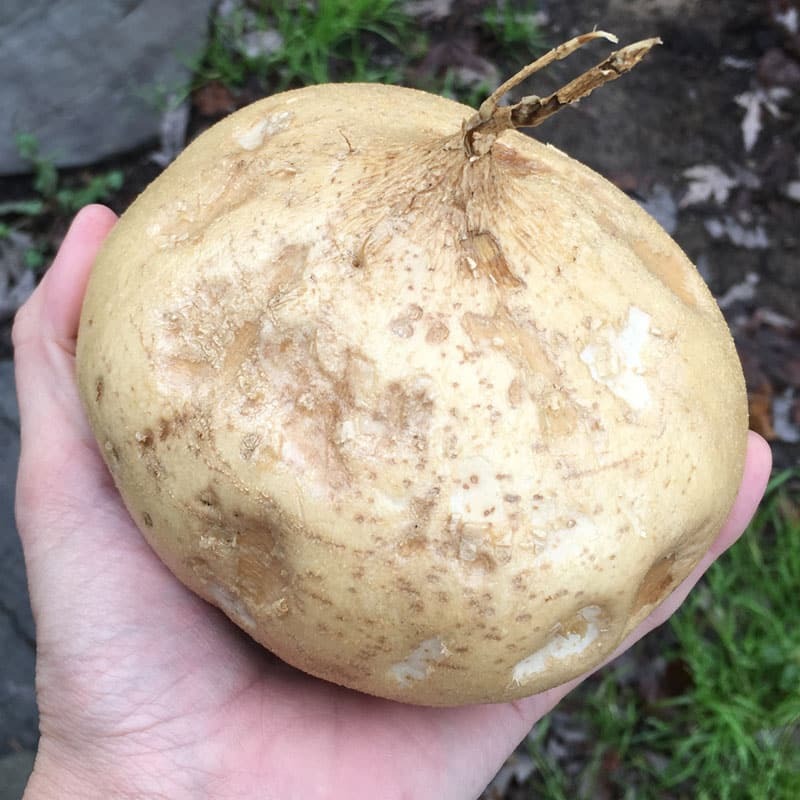 It’s been several years since that first batch of seeds arrived, and I’ve learned a lot about how to grow jicama since then. It grows happily in the garden all summer long and doesn’t need much attention. Then in the fall, you get to enjoy the fruits of your labor (roots of your labor?). 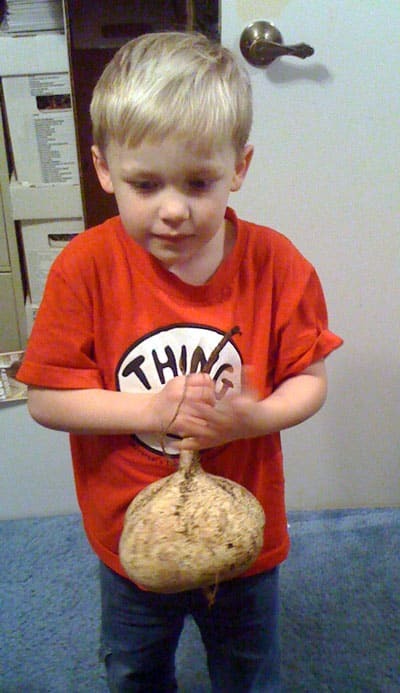 Here is an itty-bitty J-man (he’s 12 now) with one of our earliest jicama harvests. 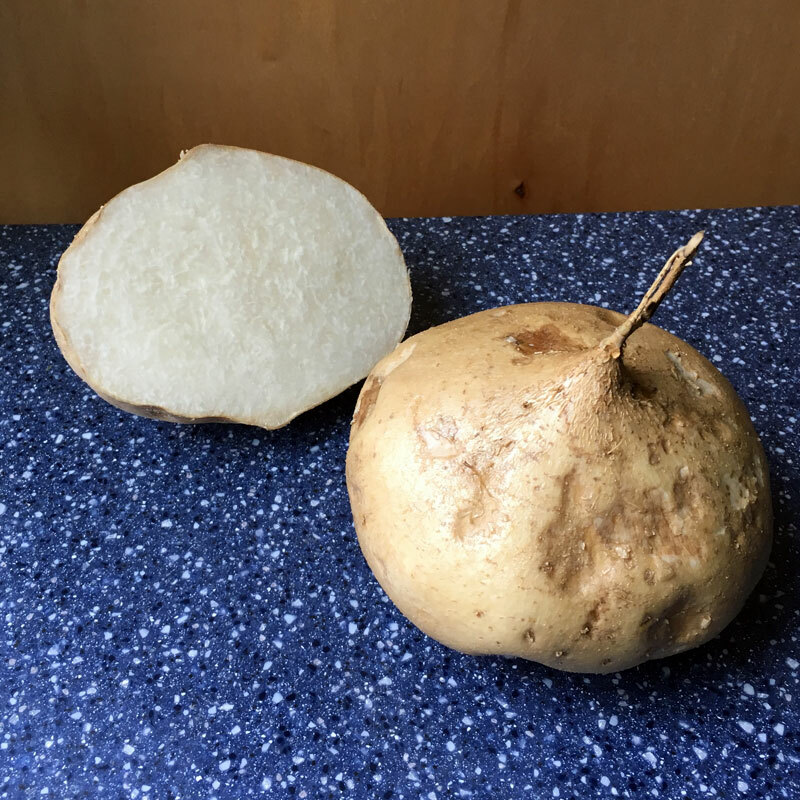 Even though jicama looks like a potato, you can’t chop up a jicama root and plant it like you would with a potato. It has to be grown from seed, and it’s an annual (you have to replant it every year). Jicama is a specialty vegetable and you probably aren’t going to find jicama seeds at your local big-box garden store. I usually order mine from Kitazawa Seed in Oakland. Jicama seeds are large and sort of square. You get about 25 seeds in a packet, which usually lasts me for a couple of years. Jicama needs lots of sun, because it’s a tropical plant. It has a loooooong growing season (150+ days), so choose a spot where the plants can grow, undisturbed, for the whole summer. Jicama grows best in sandy loam soil with good drainage. 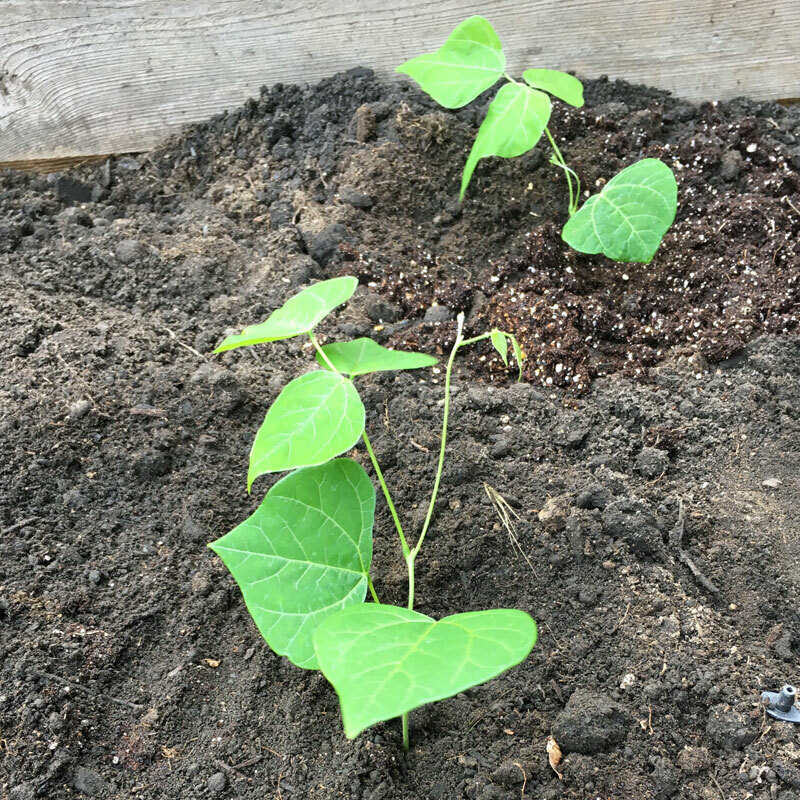 Because my soil has lots of clay, I grow jicama in raised beds. They also like to have extra potassium in the soil. You can add potassium with fertilizer or–believe it or not–by burying a chunk of banana peel along with the seedling. You can grow jicama in containers; a good rule of thumb is one plant per 5-gallon container. Container plants need frequent watering and sometimes require special fertilizer. 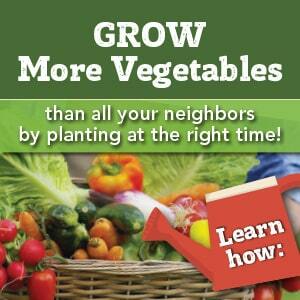 Learn more about container gardening here. Jicama seeds can be tough to start. I like to start mine in a damp paper towel to ensure they are viable. After the seedlings have sprouted, I plant them outside. Because they have such a long growing season, I plant as soon as possible after our last frost date (usually in March). Space seedlings 12 inches apart. The jicama is a root/tuber that grows underground and the plant makes a vigorous vine. You could train the vine to go up a trellis–I usually just leave it grow along the ground. The vine and leaves are poisonous, so don’t eat them. You want all of the plant’s energy to go to the root, so don’t let it go to seed. Pinch off any flowers as you see them. You’ll get one jicama tuber per plant (on rare occasions you might get two smaller ones). Once your jicama plants are established, there isn’t much that will bother them. They aren’t bothered by aphids or other garden pests. This is because the leaves, stem and seeds contain the poison rotenone. Don’t let your garden helpers munch on this plant! Companion plants are plants that help each other grow better. 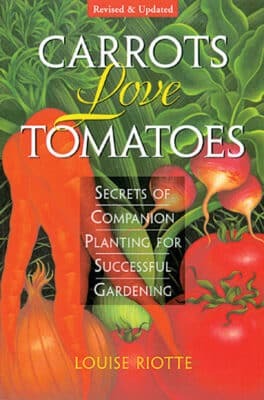 There’s a great reference book about companion planting, called Carrots Love Tomatoes (a must-read for any vegetable gardener). 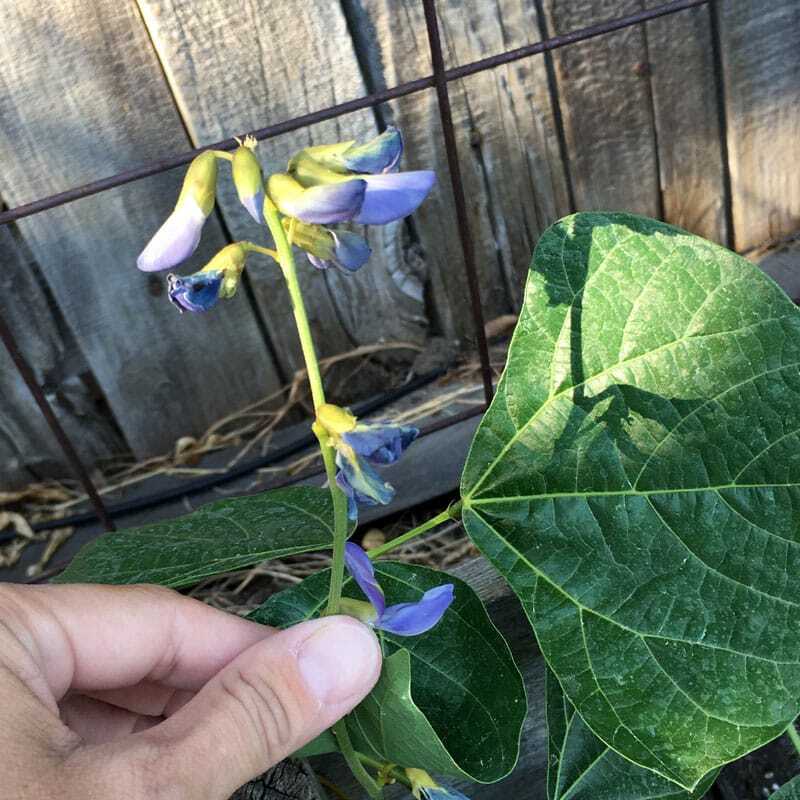 While there aren’t specific companion plants that help jicama grow, I usually plant them at the back of the garden bed because of the long vines they produce. They’ve shared a garden bed with bush beans and zucchini for the last couple of years, and everything has done well. After about 150 days, the plant will start producing the root underground. The vine might die back at this point, and if it does that’s a sure sign that it’s time to harvest. Otherwise, about 6 months after you planted, it’s time to harvest your jicama. Follow each vine back to the tuber in the soil. Using your hands or carefully using a shovel/fork, lift the jicama out and dust off the excess soil. Cut off the vine. Depending on how well they grew, your jicama may be as small as an orange or almost as big as a football. Sometimes they can be woody if they get too big, so don’t be upset if your jicama come out pretty small. Do not store the jicama in the ground until ready to eat (as you would carrots). They will rot from the inside as soon as a bit of frost touches them. Congratulations! You’ve harvested your jicama…now what? Wash off the outside and cut off the brown skin and fibrous coating underneath. You can eat the jicama root raw in a salad, make carrot-jicama slaw, or add it to stir-fry. We enjoy it raw, cut into sticks and dipped in Caesar dressing. About 6 years ago we got one in our bountiful basket and I really did not know what it was, so it sat on the counter for 2 months or so. It got pushed to the side and kinda forgotten. Well every few months I strip everything off the counter and do a deep clean, moved a big basket and it was behind it, growing from the tip! Just a little sprout. So I stuck it in a pot of soil next to our pellet stove (this was November I think) it got about 2 hours of sunlight a day and it GREW LIKE CRAZY!! The vine was probably 15 foot long. I ended up giving it to my Dad because we had a 9 month old and could keep him away from it. I don’t think it last long at his house because his wife has a black thumb lol. But it was a pretty cool experience. Well done, Pam! 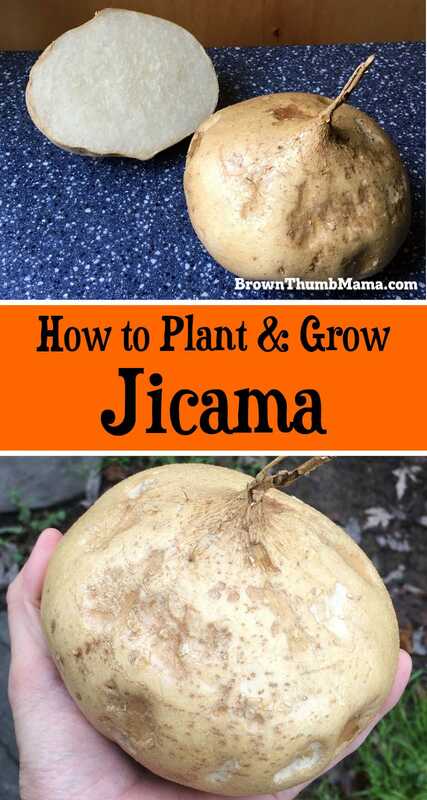 After checking at least a dozen sites, for some well written, comprehensive instructions, on how to grow Jicama. So far, yours are the best I have found! Many thanks, not only for the basic growing steps, but for personalizing them, with your own tips & experiences. Excellent! Glad these tips are helpful to you. Happy gardening!